Much like the four children in E E Cummings’s enigmatic little poem “maggie and milly and molly and may”, the adolescent narrator of Anees Salim’s new novel The Small-Town Sea loses things, finds things – and learns something about himself – after he moves with his family to the small coastal town where his Vappa, or father, had grown up. These are unhappy circumstances: the father, a middle-aged writer, is dying and wants to spend his last days listening to the sound of his childhood sea. For the nameless narrator, a city-bred boy, time passes slowly in this new setting – there isn’t very much to do, he can’t even locate his favourite cartoon show on TV. What does he find in the small town and its sea? He finds a secret beach, curtained off from the rest of the shore by a row of black rocks, where he and his reticent Vappa get to share a few quiet moments, and where the latter tells him, as they head back to the mainland, “You should learn to walk alone.” He goes on his first boat ride, and decides that the sea is like a forest – once you’re in it, you want to be out of it. He finds a new friendship, with an orphaned boy named Bilal, and they live the life of the imagination together. He also discovers that in the real world, adults often speak in coded language, especially when they are making big, life-changing decisions for other people. What does he lose? His father, of course – that’s what the family is here for – but not long after this he also loses something more unexpected, something he isn’t prepared for. Through all this, his rich inner life sustains him, as it has sustained other characters in Anees Salim’s novels. But for how long? 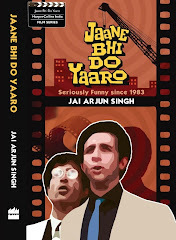 From Imran in Vanity Bagh – a young mohalla-dweller who becomes a patsy in a terrorist act – to the delightful Hasina Mansoor in Tales from a Vending Machine, working at an airport kiosk and dreaming about a more exciting life, to the melancholy Amar Hamsa in The Blind Lady’s Descendants, Salim’s narrator-protagonists have this penchant for storytelling. First, in the obvious sense that they are telling us their stories; but also in the sense that they often make things up for themselves. Most of their flights of fancy are explicitly presented as such: for instance, when Hasina imagines being the pilot-heroine who rescues her “kidnapped” plane from a terrorist; or when the boy in The Small-Town Sea uses playful storytelling devices such as a bird’s-eye or fish-eye perspective (he is writing to a London-based literary agent, so why not try to impress). But at other times the reader might wonder how reliable these narrators are. Without giving much away, near the end of the new book, when something is (literally) lost in the sea, it is possible to wonder if one of the characters was a real person or a projection of the narrator’s fears and insecurities. Throughout these books, there is a suggestion that fantasy may not be enough, that the real world will take over in cruel ways. In the bittersweet ending of Tales from a Vending Machine, Hasina has landed herself in a sticky situation, and one is unsure whether to worry for her or to feel assured that her natural pluck will see her through. The Small-Town Sea has passages where life throws a cold bucket of water in imagination’s face: such as a scene involving a pigeon that the narrator has kept tethered in a cowshed, or a story he constructs around a wall-photo of his dead father that apparently goes missing. And so, writing as a form of escape – “it works like a tranquilizer for me” – began at age sixteen. The cliché has it that a novelist begins with an autobiographical work – it’s the easiest way to get started, to build your confidence – and then moves further afield. Salim’s arc is more complicated: his first published book, The Vicks Mango Tree, is still his longest, most sprawling, moving between a large cast of characters, and the only one without a first-person narrative. The subsequent novels are more intimate, filtered through the distinct perspectives of characters like Imran, Hasina and Amar. One reason for this could be that he was writing for decades before he became a published author; when he got his first book deal in 2011, aged forty-two, there were seven novels in various stages of completion. It is a story of patience, of writing for passion and self-expression, even while building a career in another profession (advertising) – and it is a story strikingly different from that of many of today’s aspiring writers, who seem to expect a book deal before they have a first draft ready. Scathingly funny, achingly sad. That descriptor applies especially well to Salim’s last two novels, which draw most explicitly on his own life. “Autobiographical” may be an inadequate word to describe them, though. “Alternate Personal History” or “Dark Fantasy-Memoir” might work better. 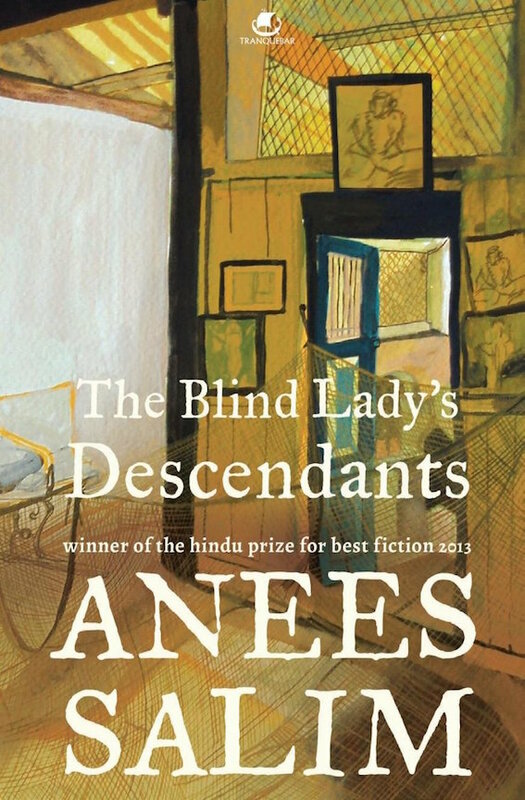 He freely admits that many elements in The Blind Lady’s Descendants – the large house, the blind grandmother, the beach with foreign tourists milling about – were taken from his own childhood. And yet, that book is presented as a lengthy suicide note by a young man who – having told us on the very first page that he regards bad luck as a family member, that his parents should never have met and he should never have existed – is about to walk into the tunnel that had claimed his doppelganger uncle decades earlier. Or is he? I mentioned unreliable narrators earlier. Might it be possible to see this book as a sly joke by a protagonist who is really quite determined to stay alive and to keep boredom and ill-luck away through the act of relentless writing? What happens if a literary agent happens to read his manuscript and make encouraging noises? Could one novel lead to another, and another, and another? Could Amar Hamsa become someone like Anees Salim? Private memories worked their way into this book, such as a phase in his twenties when he was madly in love with a girl who lived on the other side of the town. “Every night I hovered around her house, pretending to wait for a friend, and watched her making appearances at her window, until the day I found the house empty. That wound took a long time to heal, and I willingly reopened it while writing The Small-town Sea.” In the book, this memory is used in a deathbed scene: Vappa, talking incoherently in his final moments, alludes to this girl from his youth, to the embarrassment of his gathered family. 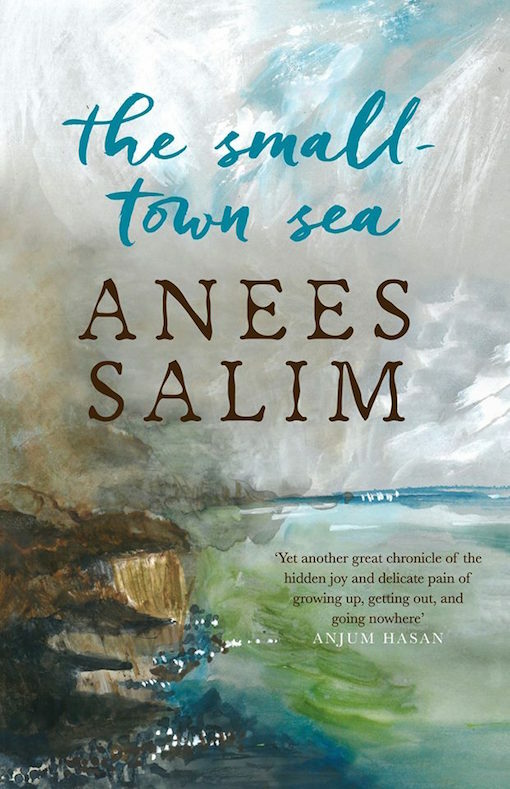 With Salim having imagined two deaths for himself in The Small-Town Sea and The Blind Lady’s Descendants, these books are in some ways darker than his earlier work. But they are just as funny too, built on his strengths as an observer of the small moment and how it fits into a larger pattern. Information about a world, the people inhabiting it and the many sides to their personalities is revealed in layers, so that you might not realise the import of a little detail until later in the narrative. Here is a world where one brother might be an atheist while another is so full of religion-fuelled mythmaking that he believes a story about Neil Armstrong converting to Islam after hearing the call of the muezzin on the Moon. There are moments that might discomfit the secular-progressive (Hasina’s Abba matter-of-factly telling her it’s okay to love Pakistan and Osama bin Laden, “but never let anyone, especially the Hindus, know your true feelings”) and there are other moments that reaffirm the many ways in which the minority community has been judged and isolated over time. (“I don’t consider myself as a spokesperson of the Muslim community, but I would like to records its fears, misgivings and hopes.”) Here is human complexity in all its shades, presented with such a combination of throwaway casualness and attention to detail that after a while you stop pondering matters of morality and political correctness and instead see the people only as truthful creations. 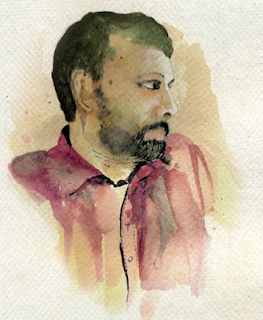 While growing up, Salim tells me, he dreamt “about writing big books, bagging big awards, living in big cities, running into V S Naipaul during my morning walks, being chased by beautiful girls”. Little wonder then that his “suicide notes” are so alive and vibrant even as they deal with sad subjects: the fear of obscurity or irrelevance, the temporary comforts that reading and writing can bring to people who otherwise have trouble finding themselves in the sea.